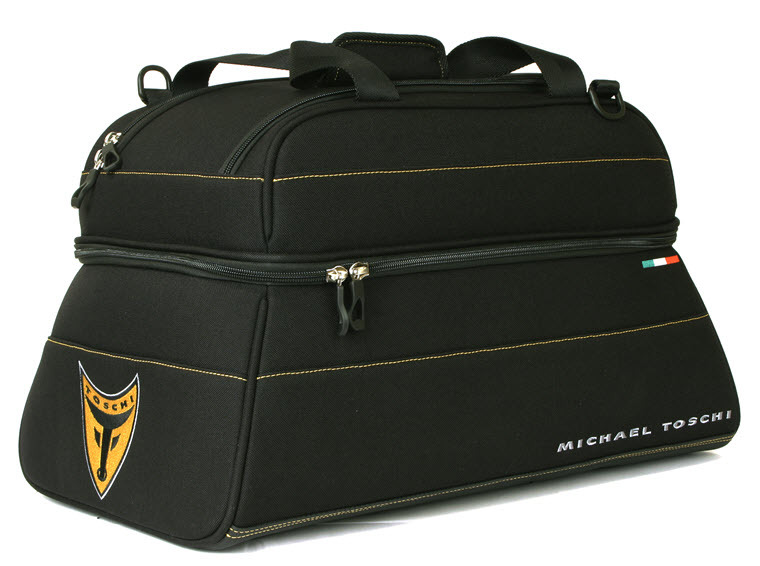 The performance luxury travel bag. * Soft non-collapsing construction * Isolated shoe compartment keeps shoes and clothes separated * 5 zippered storage pouches for accessories, personal items, etc. * Zippered shirt partition * Removable shoulder strap * Durable anti-skid base resists abrasion * Competition yellow lining.